Do you use anger, defensiveness or sadness to hide a feeling from others in your life? Do you ever use these types of emotions to hide what is truly happening within you from yourself? Have you considered how extremely revealing those negative emotions can be? 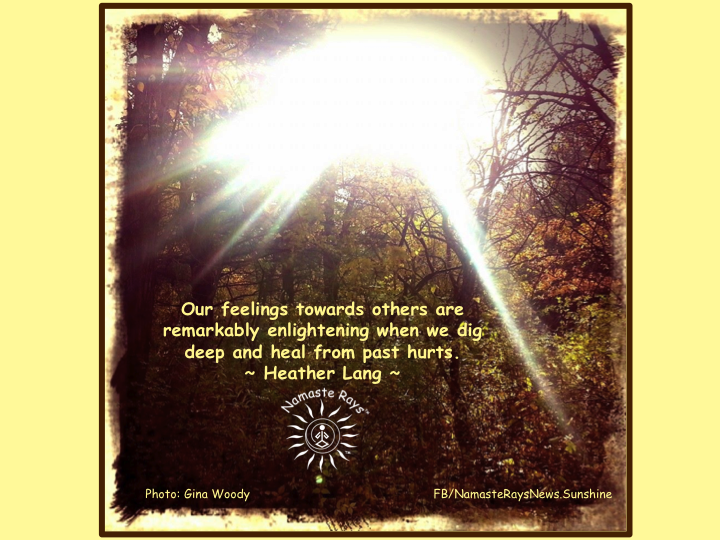 Our feelings towards others are remarkably enlightening when we dig deep and heal from past hurts. When our first reaction is anger, defensiveness or some other harmful emotion, stop and think. We can choose to dip deep and discover why. Ask yourself “Why am I acting this way?” or “Why does this anger me so?” or even “Why do I feel the need to be defensive?” Sometimes we bury the hurt so others cannot see our vulnerabilities. But it is those vulnerabilities we need to express and heal to move forward in our lives. Perhaps something from childhood crops up with others, and you become defensive. Wouldn’t it be a better use of time to figure out what the hurt from childhood is and work to heal yourself from this pain vs. continually allowing it to do you harm? Do not be fearful of the truth, because you are not your past hurts. It may be difficult to bring them up, but once you have faced them and healed them, they can no longer harm you. This is how we grow and learn our lessons. When you know yourself this intimately, you can transform your life. This is the baggage you no longer need to carry. Find a quiet place and be in solitude. Access what in your life is causing you to react in a certain way. Note the other person has nothing to do with it. They have their own vulnerabilities and issues to deal with, which may be why they acted towards you the way they did. You do not have to worry about them. You need only concern yourself with you. You have the power to change yourself. Facing our fears, hurts and vulnerabilities creates strength. It helps us on our path to enlightenment. It helps us become happier and more compassionate. It helps us live in Love & Peace with ourselves and others. And isn’t that a better place to be? May you heal by uncovering that which causes you harm.